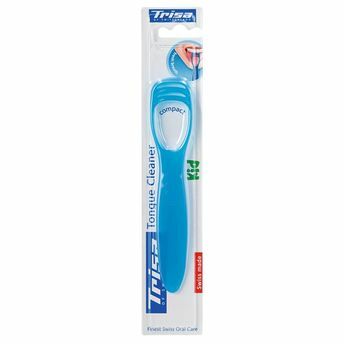 A tongue cleaner that cleans your tongue perfectly, Trisa Tongue Cleaner scrub off debris from the entire tongue surface. It is highly effective in getting rid of plaque, dead cells, bacteria and toxins from the tongue surface and removes the causes of bad breath. Explore the entire range of Teeth & Dental Care available on Nykaa. Shop more Trisa products here.You can browse through the complete world of Trisa Teeth & Dental Care .